ABSTRACT: The sharing, collaborative, peer (P2P), access, gig or on-demand economy has been termed as the absolute social, economic and legal disruption. An idea which started off as a communitarian, non-monetized, sharing project has grown into a fully monetized, vibrant and, occasionally, wildly capitalistic marketplace. Τhe sharing economy is based on a tri-partite relationship, whereby an electronic platform matches consumers’ demand for specific services (or goods) with the offer of its affiliated ‘prosumers’ (producing consumers). Traditional legal categories are being disrupted by the sharing economy. Three-party contracts for distinct-but-interdependent services sit uneasily between traditional contract and tort law, while at the same time push for fresh legal categories under employment law. The fact that prosumers are non-professionals renders consumer protection law inapplicable, while the power hidden in algorithms and the possibilities they offer for market parallelism may be calling for a revision of basic competition law principles and instruments. At the same time, the manipulation of big data, the ensuing ‘profiling’ of users and the commercial exploitation thereof make the forthcoming EU General Data Protection Regulation (GDPR) look already outdated. 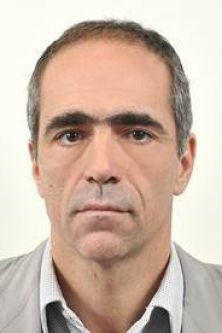 Vassilis Hatzopoulos is Professor of EU Law and Policies at the Panteion University, Athens and the Provost of Undergraduate Studies at the European Law and Governance School, Athens. He is visiting Professor at the College of Europe, Bruges (Belgium) and honourary Asst. Professor at the University of Nottingham (UK). His research interests cover EU institutional law and governance, the EU internal market with special focus on service liberalisation and the provision of services of general economic interest, state aid and public procurement, as well as EU asylum and immigration law. He has published three monographs, on the principle of mutual recognition in the internal market (in French, Bruylant/Sakkoulas, 1999), on the doctrine of essential facilities under EU competition law (in Greek, Sakkoulas, 2002) and on the regulation of services in the EU (in English, OUP, 2012). He has also published over a hundred articles and case notes, in English, French and Greek, in all the major EU-related reviews and periodicals and in edited volumes. His new monograph on “The Collaborative Economy and EU Law” (in English, Hart, 2018) is forthcoming. He has a longstanding experience as a lawyer, practicing before the highest national courts and the Court of Justice of the EU. He has consulted i.a. the Greek Government (on the OECD-led regulatory reform), the EU Commission (on the Services Directive) and the European Parliament (on EU patients’ rights).